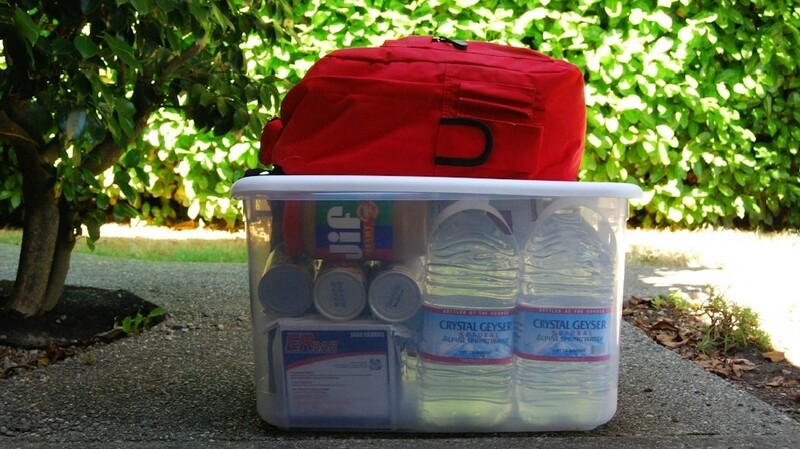 Preparing and keeping a fully stocked home emergency prepardness kit could be the key to your family's safety if disaster strikes! You can’t prevent disasters, but you can take charge of how you respond if you’re prepared. The first step is putting together an emergency preparedness kit. The deed to your house. A list of personal contacts. Keep one set at home in a portable case that you can grab quickly. Keep another in digital form — either on a secure website such as Dropbox or on a memory stick, or, even better, both. And while you’re at it, use the opportunity to check whether your insurance is up to date. “People often don’t know what their homeowners insurance policy covers, and most don’t cover flooding,” points out Rick Bissell, Ph.D., a professor of emergency health services at the University of Maryland, Baltimore. Find out what hazards your area faces, and make sure you’re protected against them. Food: At least a three-day supply of non-perishables and a can opener. Pack protein, fruit, and vegetables, but make sure they’re in a form that stores easily, such as cereal bars and trail mix with dried fruit. Include some treats that have a long shelf life, such as Tootsie Rolls. Store food in pest-proof plastic or metal tubs and keep it in a cool, dry place. Battery-operated radio: Red Cross radios are available at multiple retailers and online.